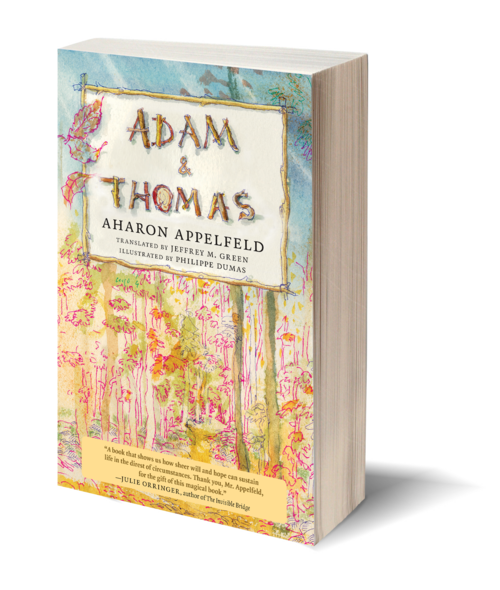 Adam and Thomas is the story of two nine-year-old Jewish boys who survive World War II by banding together in the forest. They are alone, visited only furtively, every few days by Mina, a mercurial girl who herself has found refuge from the war by living with a peasant family. She makes secret journeys and brings the boys parcels of food at her own risk. Adam and Thomas must learn to survive and do. They forage and build a small tree house, although it's more like a bird's nest. Adam's family dog, Miro, manages to find his way to him, to the joy of both boys. Miro brings the warmth of home with him. Echoes of the war are felt in the forest. The boys meet fugitives fleeing for their lives and try to help them. They learn to disappear in moments of danger. And they barely survive winter's harshest weather, but when things seem to be at their worst, a miracle happens. 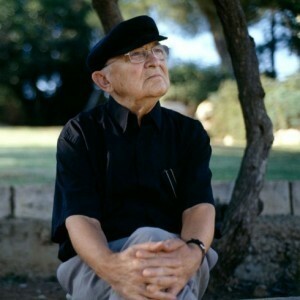 First championed in the English language by Irving Howe and Philip Roth, Aharaon Appelfeld was born in a village near Czernowitz, Bukovina, in 1932. During World War II, he was deported to a concentration camp in Transnistria, but escaped. For the next three years, he wandered the forests. In 1944, he was picked up by the Red Army, served in field kitchens in Ukraine, then made his way to Italy. He reached Palestine in 1946. Today, Appelfeld is Professor Emeritus of Hebrew literature at Ben-Gurion University at Beersheva, a member of the American Academy of Arts & Sciences, and Commandeur de l'Ordre des Arts et des Lettres. He has won numerous prizes, including the Israel Prize; the MLA Commonwealth Award in Literature; the Prix Médicis étranger in France; the Premio Grinzane Cavour and Premio Boccaccio Internazionale; the Bertha von Suttner Award for Culture and Peace; and the 2012 Independent Foreign Fiction Prize. In 2013, he was a finalist for the Man Booker International Prize.